SHORT ANSWER: Separate Your Band From the Online Clutter. LONG ANSWER: Everyone’s fighting for our attention online. Yet many musicians believe that if they just spam enough random people online, they’ll somehow gain a large and loyal fan base. But, all you have to do is look at MySpace–a digital tumbleweed–to see that a million bands spamming each other will never be a goldmine. It’s not good enough to just distribute your album on iTunes, set up a website with lots of bells and whistles, or even jump onboard the newest fad in the music business: Facebook’s Music Integration Platform. Why? Because NO ONE will ever find you. The music business, now more than ever, is very crowded. Your band needs to rise above the clutter. And, while great songs are your foundation, brand identity will help drive your music home. 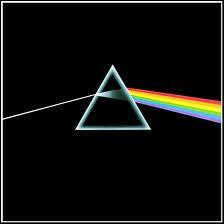 Case in point, everyone on the four corners of the earth recognizes the legendary album cover to Pink Floyd’s Dark Side of the Moon; it’s no coincidence it was Pink Floyd’s big break-through album. Sure, the music was killer, but the album cover helped drive Roger Water’s timeless lyrical and musical themes home with the listener. It helped sell the music, even during those rare times when it was not being blasted on the radio in all its quadraphonic glory. Indeed, the iconic cover, depicting a ray of light split by a prism, was recently named the greatest album cover of all time in a recent poll of musicians and music fans. Will Groves of MusicRadar.com noted: “It’s proof that one simple, enduring image is the winning formula when it comes to album artwork.” And, while album artwork has become somewhat of an anachronism, the commercial and artistic success of Dark Side of the Moon continues to underscore the necessity of branding if you want to reach as many people as possible with your music. The main reason for creating brand identity is to establish a consistent, uniform identity so that fans can remain loyal. They, like you, want to be a part of something bigger then themselves. Branding is the secret sauce to making this happen. But it requires thought and planning. Focus on quality and appearance. Hire a graphic artist to select a distinguishing font for the band name, one that creates an indelible, even iconic, image for your band. Remember, you are responsible for your identity. Don’t sit back and wait for someone to discover you. Those days, like the album cover, are long over. Of course, from a legal standpoint, a lot of thinking needs to be done before your band name is selected, or a logo is pressed onto hundreds of t-shirts. The world of branding revolves closely around trademark law. Never underestimate the importance of obtaining a registration for your brand with the United States Patent & Trademark Office. I will discuss the process of trademarking your band’s name and logo in my next entertainment law blog. Don’t think branding matters? Think again. Just like with Pink Floyd’s Dark Side of the Moon, branding can help put your band over the top, but ONLY if the music is great. Thus, the real secret to making it in the music business today is focusing, first and foremost, on making quality music. When someone finds something truly great today, they tell EVERYBODY they know. So at the end of the day, that’s how it’s done, that’s how you build an act, that’s how you build a brand….by focusing on making quality music that is so good it literally sells itself. After all, it’s next to impossible to keep the attention of anyone (especially today’s ADD generation) with a mediocre product. Anything less than stellar is clutter in today’s musical landscape.